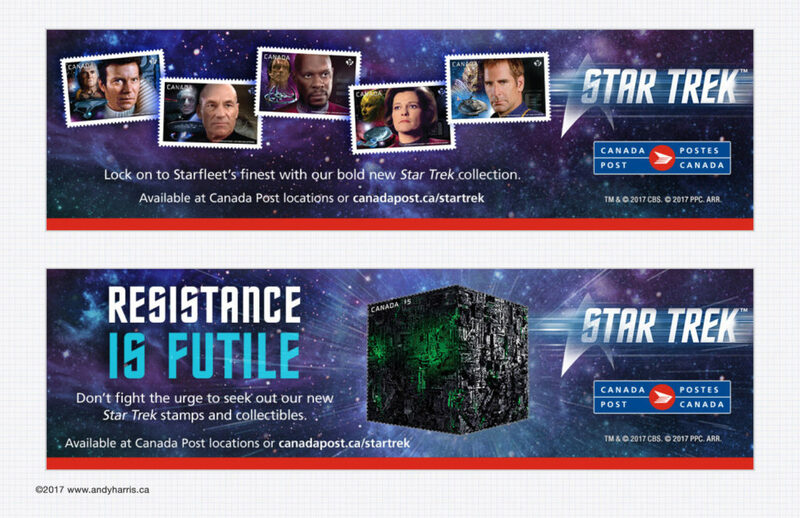 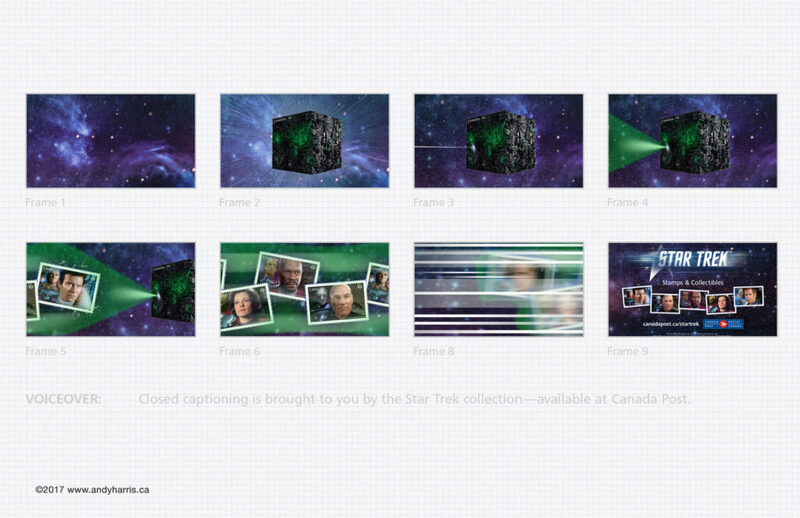 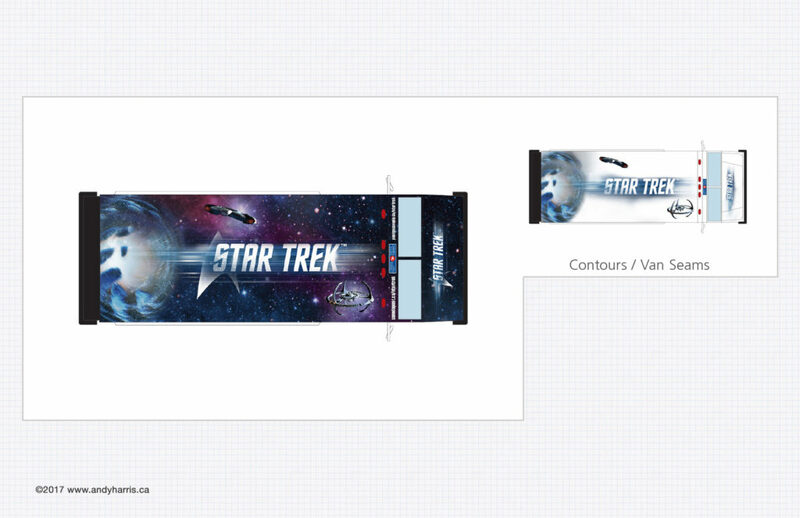 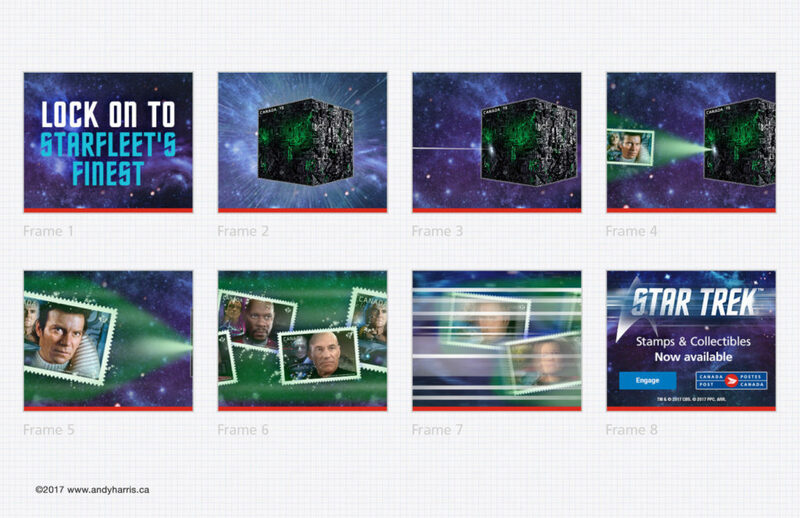 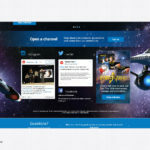 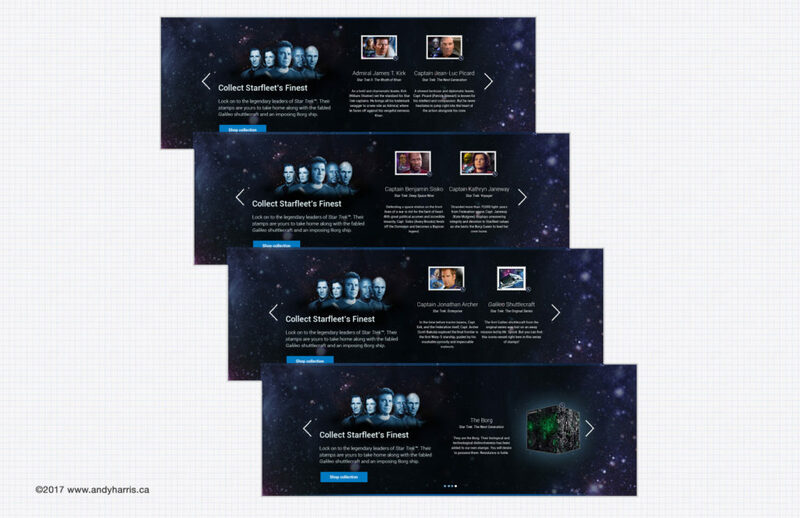 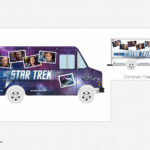 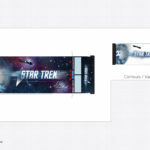 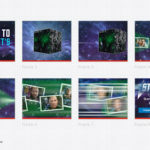 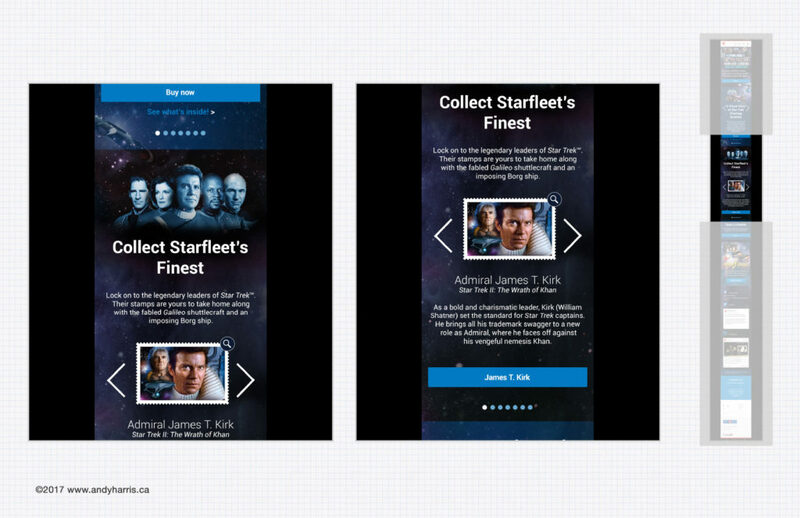 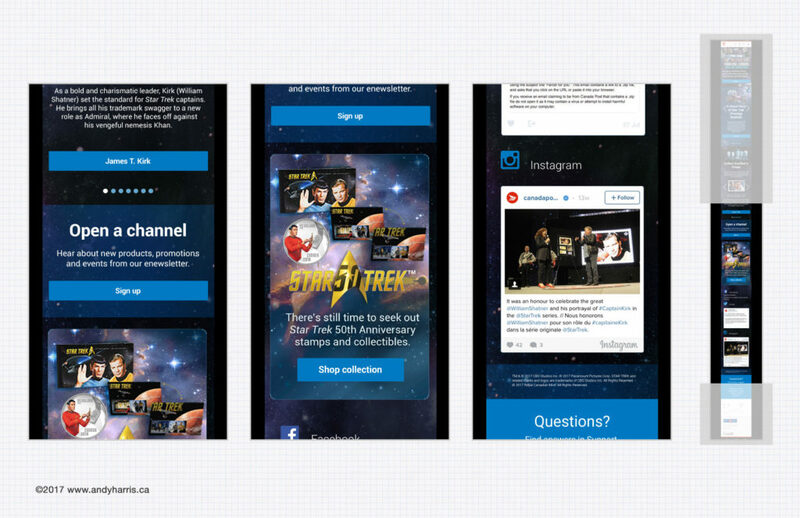 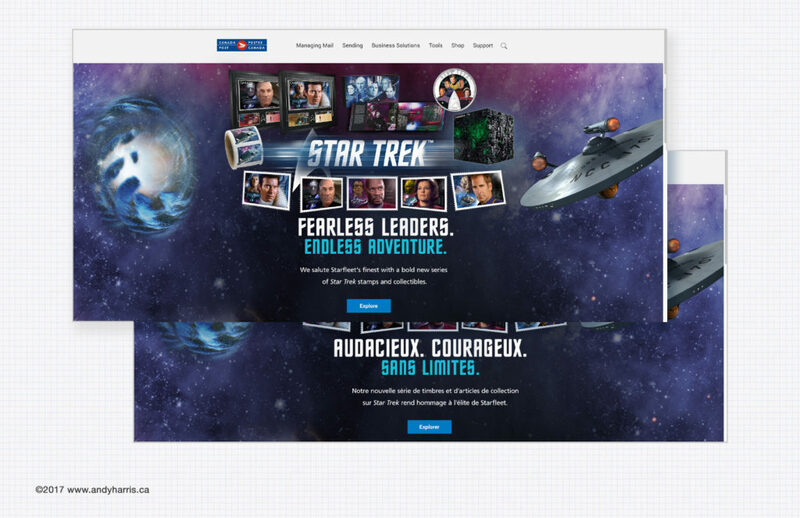 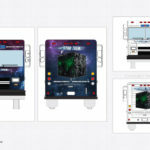 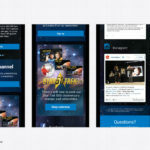 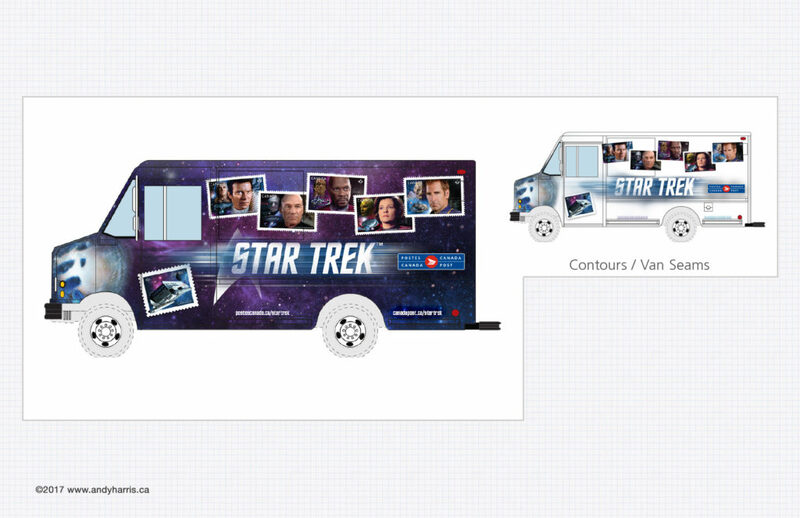 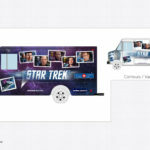 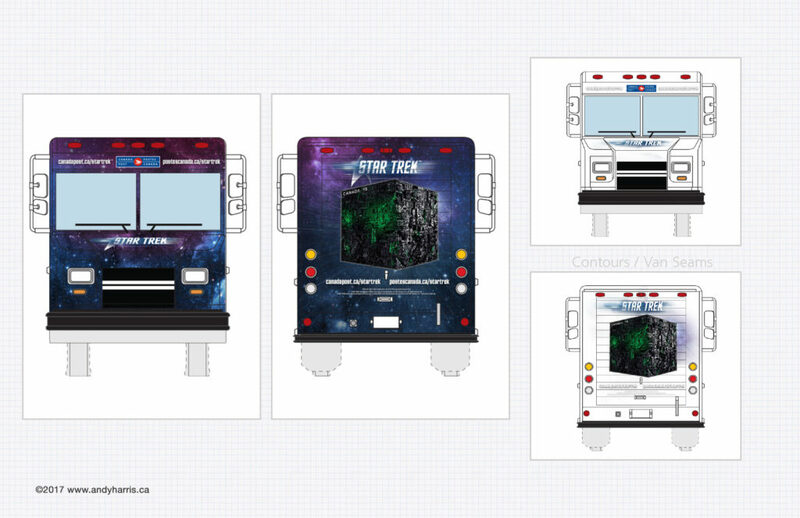 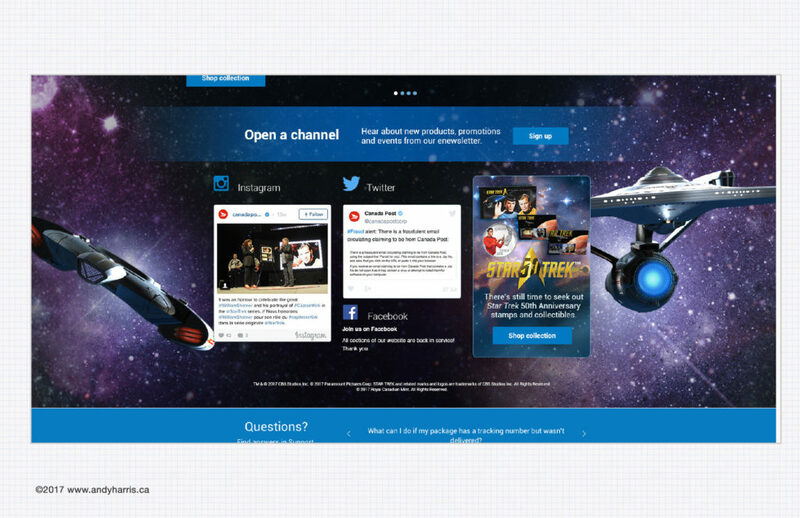 Initially brought on to fill in some gaps for the creative we produced for the 50th Anniversary of Star Trek: The Original Series, I had helped tidy up some Van Wrap designs as well as lay out the microsite. 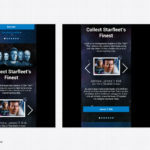 This was valuable experience which I applied when I was given the project to celebrate Starfleet’s finest the following year. 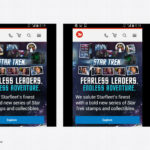 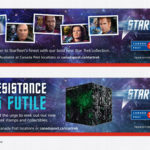 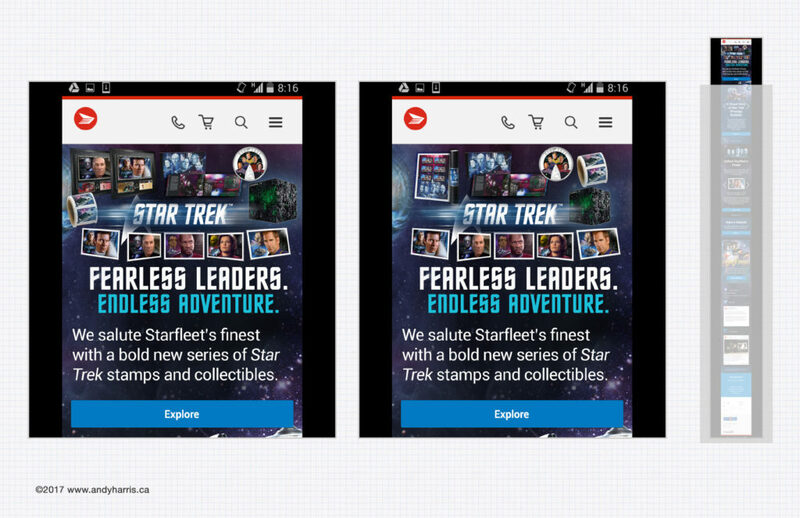 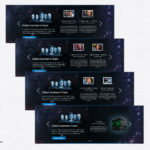 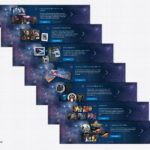 The new campaign singled out the captains of each series and a handful of their adversaries on the stamps and products, but it also came with a wealth of sci-fi assets. 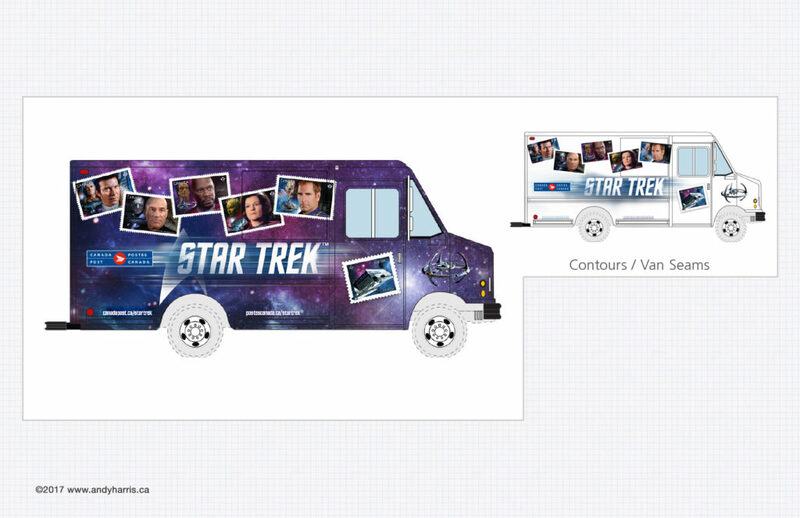 Working on this was a joy. 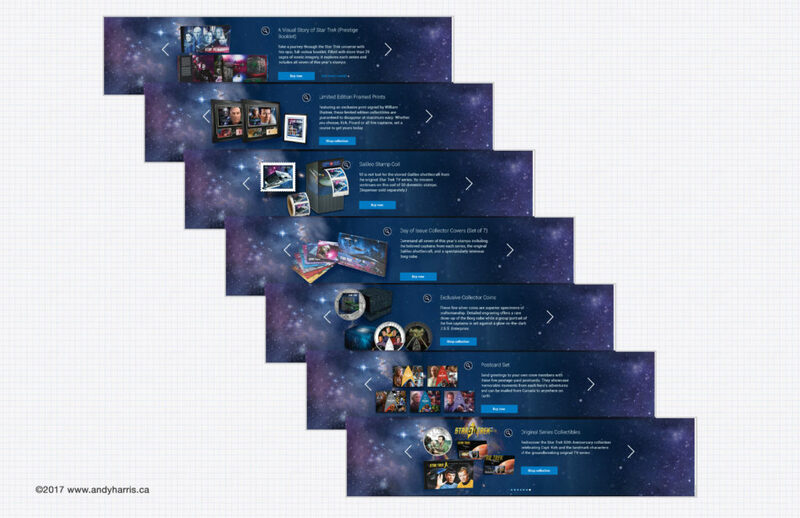 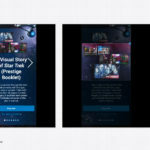 Using assets provided by(and in some cases, approved by) Paramount, we created a scalable microsite, some newspaper ads, digital banners, a short video bumper and a van wrap. 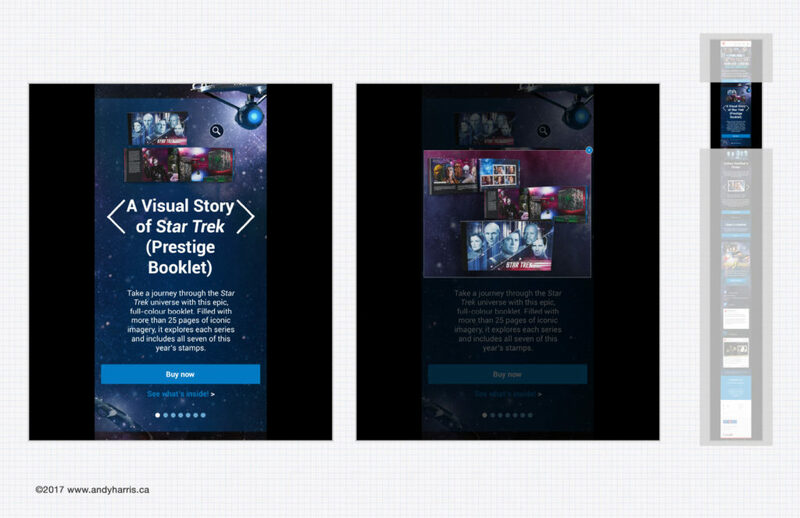 © 2016 Powered by little 1's and 0's.